No longer are utility rings solely for super heroes. 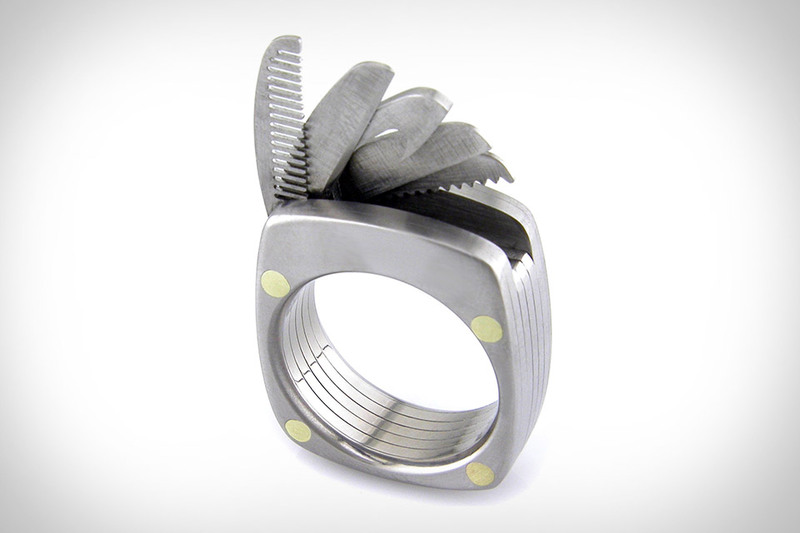 The Titanium Utility Ring ($385) can grant any finger on either hand powers beyond just gripping, pointing, and poking. Like a multi-tool, the 9mm-wide titanium ring sports five blades that fold individually out of the ring — a comb, a straight blade, a bottle opener, a saw, and a serrated blade — letting you handle many situations using no other tool than the one you're already wearing.